Pink aesthetics refers to the gingival or “Gums” of the smile. 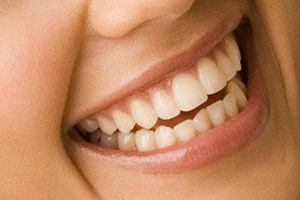 The gums have as much to do with a beautiful smile as the teeth. Often times the gums are ignored by dentists when improving smiles, but they are just as important as the teeth when creating beautiful smiles. Smile Stylists evaluate gum heights and shapes of both the front and back teeth when designing smiles, then offer solutions to improve the look of the gums when improving the smile. Many patients do not express a desire to improve the gum heights, shapes, or symmetry during consultations, but that does not mean it is not important in the smile. Patients need to be given options to improve the look of the gums, because so much of what we can do to improve smiles is unknown by patients. Often patients will receive smile makeovers with porcelain veneers or crowns by dentists who did not properly address the gums. Patients who are not given the options to improve the gums are not getting options to have the best results available. Smile Stylists evaluate the gums as they have importance in many principles of smile designing and offer suggestions to improve their look, symmetry, heights and shapes. A Smile Stylist is proficient in pink composites. Similar to white filling materials, but pink, these materials are bonded to ceramics like veneers, bridges or crowns and even teeth to simulate the pink gums. While this technique is rare, Smile Stylists are not only proficient in pink composites and carry the top of the line pink palates to match our patients gums, but are also artists who are skilled in making the pink composites look like natural gums.